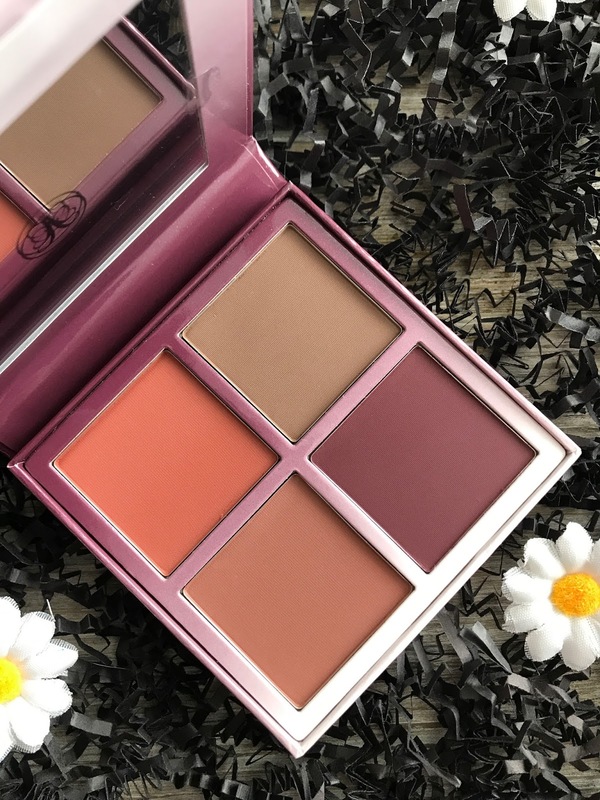 I am a big fan of Anastasia Beverly Hills Eyeshadow Palettes but I don't usually run and buy anything other than that from their collections. But when they released the 2017 Holiday Collection I found myself oohing and aahing over one of the blush kits and a few of the liquid lipsticks too. I already know that I wouldn't use the liquid lipsticks (I have a penchant for purchasing lippies but never actually using them) but of course I got the Prism Palette and the Gradient Blush Kit. 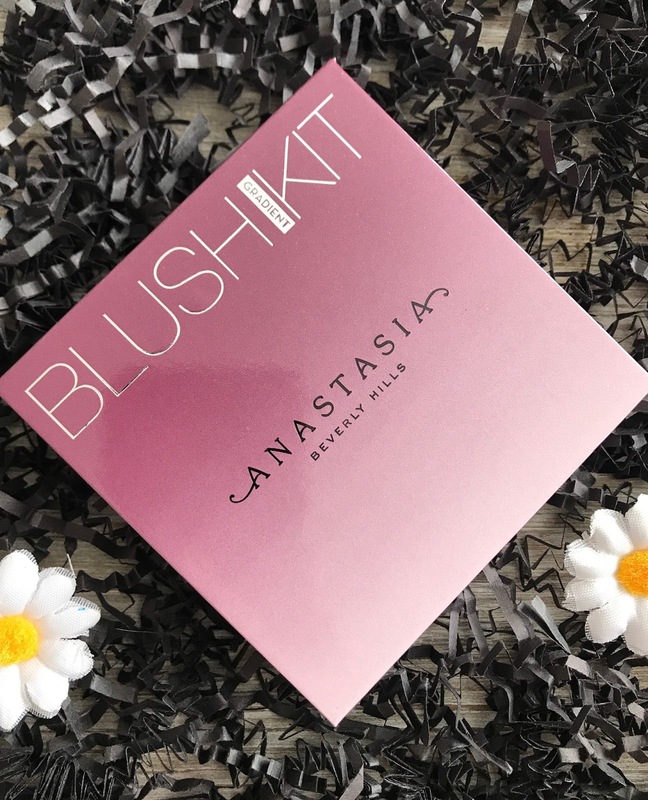 The Gradient Blush Kit can be purchased for $30 on the Sephora and ABH sites. I got it during the Sephora VIB Sale so I felt that I had scored a great deal because even though it's only four pans, I could see how this palette would be super versatile. While it's labeled a blush palette, I could see these being used as shadows, contour and bronzer as well. Ultimately what really did it for me with this palette is the shades: dusk, blackberry and chocolate. These deeper shades just really called out to me, and even though I have a medium skin tone, I was sure that I could make them work for me. As you can see, the pigmentation in this palette is really good, great for deeper skin tones. But at the end of the day and even with as in love as I was with these shades, the formula did not work for me. 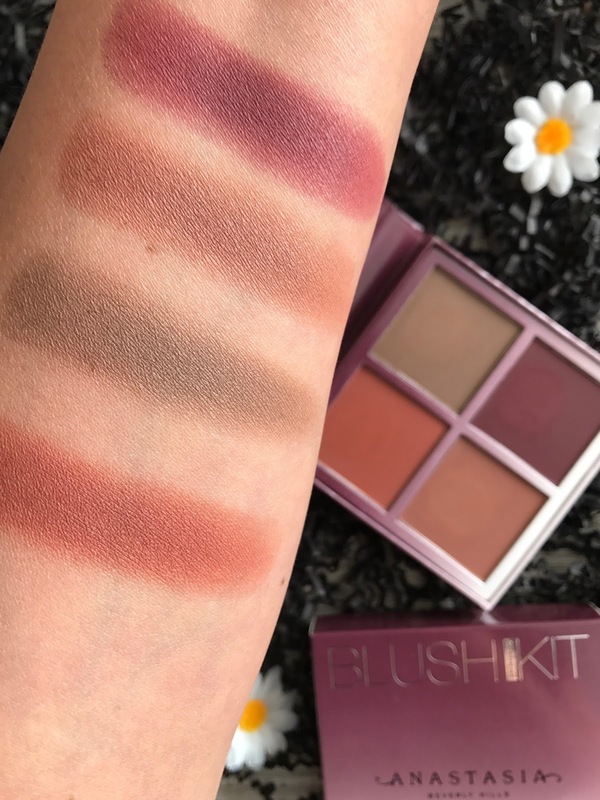 Every time I used this palette I found myself having to take a lot of extra time to blend especially when using Dusk, the shade I was so excited for since the first time I saw it. I am always on the lookout for a cool taupe brown and was sure this would become a go-to for me. 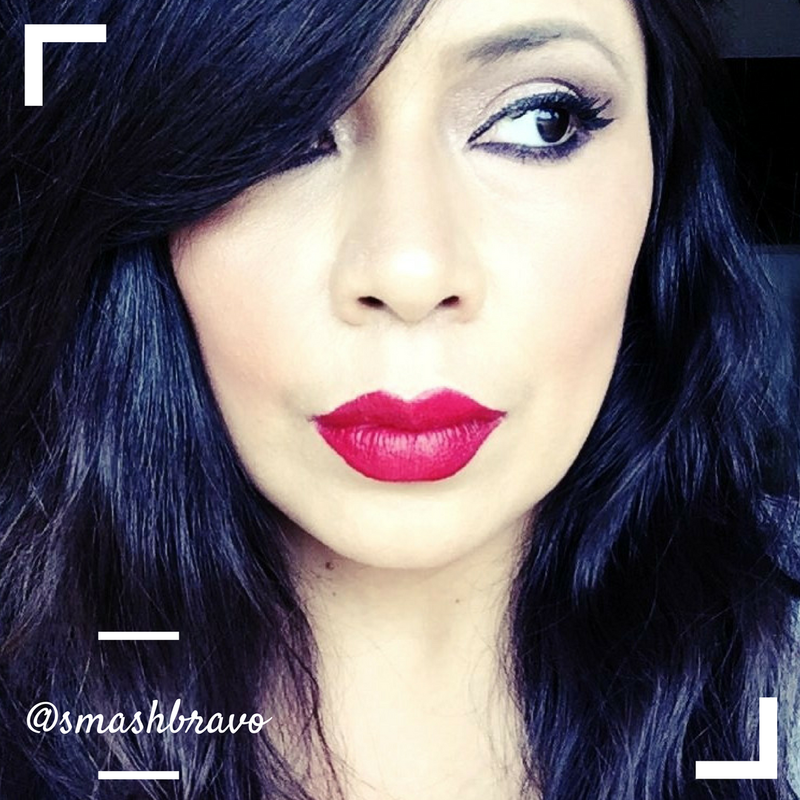 While it did leave my face looking very sculpted, it took so much work and never looked good under my cheekbones. I think it is important to mention that I don't use powder to set my foundation and I do use a lot of serum style foundations that can feel tacky for a while after application. This might be the reason why the contour always ended up extra harsh on my cheeks and wouldn't blend seamlessly. But I do own tons of other contour and bronzer products that work just fine, so I think it's actually a combination of the high pigmentation and harder to blend powders. After a few days of really trying to make this work for me I gave up. It didn't even matter that I might be able to use it as an eye shadow palette if the main job of face palette wouldn't work for me. At this point in my makeup collection, I can't keep products that I like just because of how they look or if I can use one or two shades. Unfortunately and with much regret, I returned the Anastasia Beverly Hills Blush Kit in Gradient. Your post has been very useful for me. Thank you!! !